Board Member Introductions, photo and book design help. Many 501(c)(3 )non-profit organizations can better leverage their Board members’ connections by making available a high-quality cause book for high-income individuals. 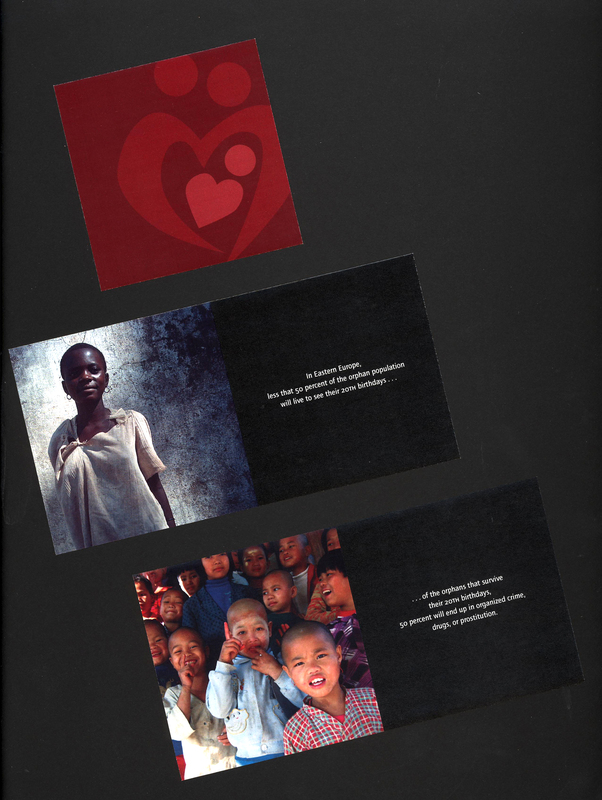 The cause book tells your story in pictures and short messages, so that you can create an emotional connection with the high-income individual. Even without that emotional connection, there are important tax considerations for a large donation. The high-income cause book starts the process. Imagine a coffee-table quality book with pages of struggling orphans and orphanages to set the stage for how your organization helps. Imagine showing kids who now have jobs thanks to your group’s efforts. Imagine showing cancer survivors that have benefitted from your organization. Tell your story. The new online services like www.Blurb.com, www.Snapfish.com and many others make these high quality books possible, in quantities of one. They look like they’ve come off the presses of a high-end printer. All you need is about 20-50 photos that tell your story. The more you have the better. On one page, place the picture so that it fills the entire page without a border. On the facing page you tell a small piece of your story. If you’re helping foster kids or orphans, then a shocking statistic like “there’s over 143 million orphans in the world” is all that needed on the opposing page. If you’re fighting a specific type of cancer, then pictures of cancer survivors on one page, and their story on the other page, will get the same effect. You also need to tell how your group uses the donations that it receives. Explain how you spend the money and what group of people or cause benefits as a result. The more you can break down how money is spent, the easier it is for a high-income individual to figure out how they can help. Perhaps they’ll sponsor a person, or a new facility, or a project. Perhaps they’ll sponsor much more. You will want to be prepared with other non-cash options to present, which is why there are several “planned giving” venues included in this book. Make sure you are well-versed in how each of these work, or bring someone along who is well versed in the planned giving instrument. Consider asking each Board member to make your organization a 1-3% beneficiary in their life insurance policy. That’s usually a one-page document that needs to be prepared, and easily done. In turn, if they ask a high-income individual to do the same, it will be more credible if they can say they’ve already done it. Each of the planned giving venues presented offers a specific tax advantage, as does an outright cash donation. Never forget to mention that you’re a 501(c)(3 ) or similar tax-deductible entity, if you have that status with the Internal Revenue Service. Source of Idea: Unknown. This concept was first suggested to the author by Gary Hespenheide of Hespenheide Design, in Thousand Oaks, CA.